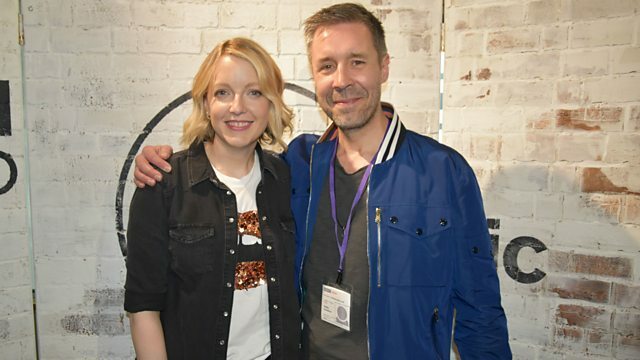 Lauren is joined by Paddy Considine who has written, directed and stars in Journeyman, which tells the story of middleweight boxing champion Matty Burton. Lauren is joined by Paddy Considine who has written, directed and stars alongside Jodie Whittaker in Journeyman. Journeyman tells the story of middleweight boxing champion Matty Burton who collapses at home, after winning a punishing title defense on points. Paddy plays the title role while many of the supporting cast make their acting debuts, taking on roles that closely mirror their actual professions with appearances from boxers, boxing commentators, nurses and occupational therapists. His directorial debut, Tyrannosaur, won numerous awards including the Outstanding Debut Award at the BAFTA's 2012. As an actor, Paddy's varied roles have included In America, Michael Winterbottom's cult classic 24 Hour Party People, Edgar Wright comedy Hot Fuzz, and Paul Greengrass' action thriller The Bourne Ultimatum. Lauren also brings you half an hour of amazing music suggested by our listener's in this week's People's Playlist. There's more new music for our Just Added playlist, a Headphones Moment and tons of top tunes. The Very Best Of The Meters.